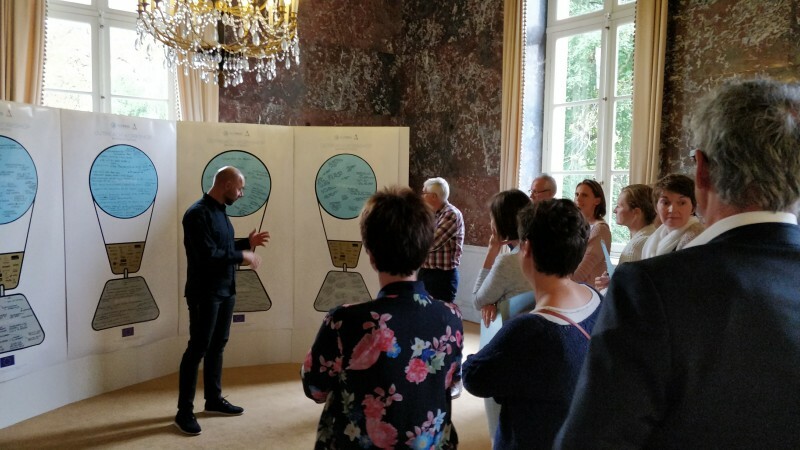 On 7 September the Flemish partner organised an Outreach workshop in partnership with the Royal Flemish Academy of Arts and Sciences of Belgium (KVAB). Before the summer they set up a competence cell that ran a transition arena (TE) on issues related to materials scarcity. This TE brought together a diverse and highly motivated group, and was very successful as it resulted in three CO-RRI project concepts. The central aim of the Outreach workshop was to validate this competence cell as a leverage for the uptake of CO-RRI more broadly in Flanders. As we contacted relevant players for this validation, it was clear that, yes, there is a broad support for RRI, but many stakeholders have other ideas on how this can be fostered. 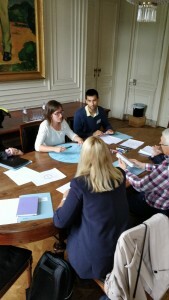 So the Outreach workshop focused more generally on the question of ‘how to strengthen the support for RRI in Flanders’, and validated the competence cells in the light of other possible leverages the participants came up with. Universities; including staff of central services (vice-rector or administration) and researchers active in the field of RRI, sustainability or transdisciplinary research. All universities agreed to participate. Economic sector: a public service working on Circular Economy and one on Entrepreneurship for sustainability, as well as University Colleges offering economic degrees (for a new economy). First the FoTRRIS framework was briefly presented. Since CO-RRI is supposed to address big challenges and lead to a sustainable world, and since ‘sustainability’ has been translated by the international community into a coherent set of 17 SDGs, the core question is if and how the R&I system can contribute to the SDGs. The participants worked in four parallel groups, mapping the lock-ins and leverages for mainstreaming CO-RRI. In a Speakers’ corner the results of these mappings were exhibited and commented on in plenary. A pop-up library (with literature related to CO-RRI) was set up as a source of inspiration as well. After the workshop the outcomes of the mappings were analysed using Donella Meadows’ set of ‘leverages for system change.’ The results reveal that ‘mindset, paradigm and values’ are considered the most important factor for the R&I system to become more responsible. ‘Education is the silver bullet,’ as one of the groups stated. As long as students and researchers don’t learn to see the bigger (systemic) picture, grasp the impact of human innovations on complex, non-linear planetary dynamics, or understand the crucial importance of ethics and the SDGs for the survival of humankind, CO-RRI will not be embraced as the new paradigm for the Antropocene. Secondly the participants pointed out that the aim of the R&I system is still too much stated in terms of ‘scientific excellence’ and ‘economic competitiveness’, rather than targeting societal impact for the common good. Short term financial concerns block the transition towards a more responsible model that is sustainable in the long term. The participants agreed that politics should be much more decisive in defining ‘the society we want’ and more directive in steering the R&I-system towards this goal. Further leverages are mechanisms inside the R&I system itself. The capacity for the R&I system to self-organise and evolve towards RRI should be strengthened, and various incentives, rules and regulations (including financial ones) can enforce this paradigm shift. 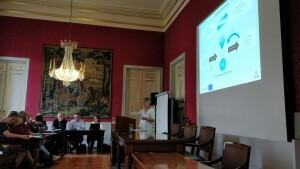 A competence cell (or intermediary platform) can play an important role at this level, offering researchers a setting in which transdisciplinary projects for the common good are facilitated, and where insights and competencies on CO-RRI are developed and transmitted to other actors. There was however no agreement whether this should be a centralised cell, or whether decentralised units embedded in each university would be more effective for fostering CO-RRI. The participants were invited evaluate and comment on the Outreach workshop. All of them agreed that the FoTRRIS approach to RRI was relevant for tackling the big challenges, and they stressed the importance of continuing this process for the uptake of CO-RRI after the end of the FoTRRIS project.